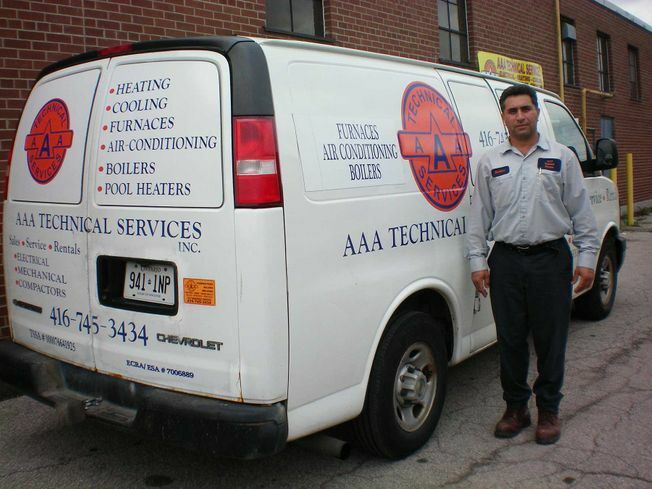 Contact Us | North York - Toronto - GTA | AAA Technical Services Inc.
AAA Technical Services Inc. is a certified team offer complete technical services in the Greater Toronto Area. We install and repair mechanical systems, perform mobile welding, rent equipment and more for residential and commercial clients. With years of hands-on experience, you can trust us to provide the right equipment and solutions to meet your unique technical needs. If you have any questions or concerns about our services, let us know by filling in our eform. A friendly and knowledgeable member of our team will get in touch with you as soon as possible to provide answers and useful information. Call AAA Technical Services Inc. to schedule service with our experienced technicians, we offer 24/7 emergency services so you won't be left sitting on the line waiting for someone to answer your call.